Los debates actuales en filosofía de las ciencias investigan cuestiones relevantes para el desarrollo de la filosofía contemporánea en áreas tan diversas como la metafísica, la ontología, la epistemología, la semántica, la filosofía de la matemática, la filosofía de la física y la filosofía de la química, entre otras. 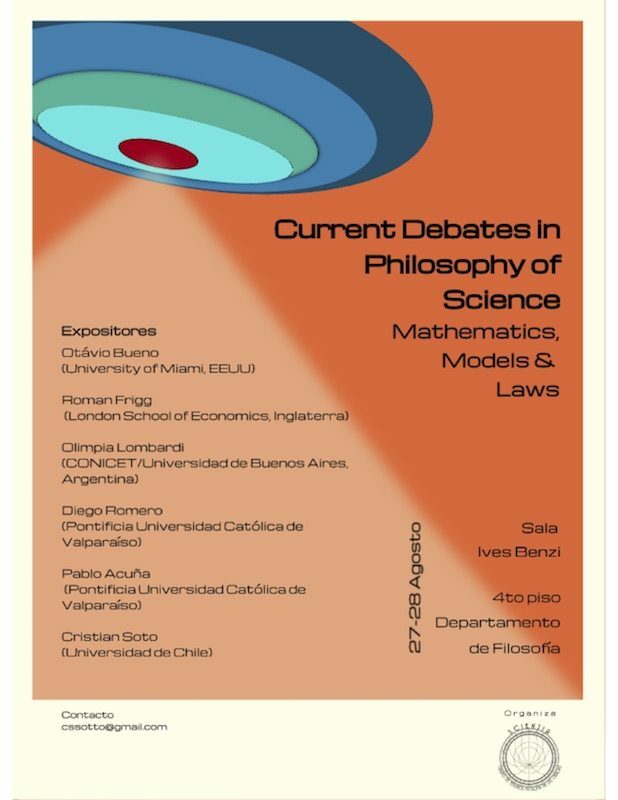 El Workshop Current Debates in Philosophy of Science: Mathematics, Models and Laws reúne a expositores nacionales e internacionales que abordarán algunas cuestiones centrales, tales como: ¿en qué consiste la representación científica? ¿En qué consisten los modelos en física y química? ¿Podemos distinguir entre estructuras matemáticas y estructuras físicas? ¿En qué consiste una explicación matemática en ciencias físicas? ¿Qué es el estilo instrumental de razonamiento en ciencias? ¿Qué son las simetrías, las leyes y la modalidad? ¿Cuáles son algunos de los problemas filosóficos actuales que emergen de la mecánica cuántica? Y, ¿en qué consiste la distinción entre teoría y observación? El Workshop es público y gratuito. Está dirigido y abierto a todas y todos quienes tengan intereses en los desarrollos recientes de la filosofía de las ciencias. Todas y todos son bienvenidos, sean estudiantes de Pre o Posgrado, académicas/os o miembros del público general. El Workshop se concibe como una celebración de la filosofía de las ciencias y tiene, por ende, un carácter amable, igualitario e integrador. Invitamos, a quienes asistan, a que se acerquen a hablar con las y los expositores. Para participar en el Workshop, no se requiere conocimiento avanzado en ciencias físicas ni en matemáticas. Las presentaciones serán dictadas en inglés. Sin embargo, podrán hacerse preguntas en español al final de cada presentación (casi todos los expositores hablan o entienden español). Para participar en el Workshop, se requiere inscripción previa contactando al profesor Cristian Soto (Departamento de Filosofía, Universidad de Chile) al e-mail: cssotto@gmail.com. OTÁVIO BUENO is professor of philosophy and Chair of the Philosophy Department at the University of Miami. His research concentrates in philosophy of science, philosophy of mathematics, philosophy of logic, epistemology, and some philosophy of art. He is the author of Applying Mathematics: Immersion, Inference, Interpretation (with Steven French, 2018, Oxford University Press), among other books. He has published in journals such as: Noûs, Mind, British Journal for the Philosophy of Science, Philosophical Studies, Philosophy of Science, Synthese, Journal of Philosophical Logic, Studies in History and Philosophy of Science, Analysis, Studies in History of Philosophy of Modern Physics, Erkenntnis, Monist, Metaphilosophy, Studies in History and Philosophy of Biological and Biomedical Sciences, Ratio, History and Philosophy of Logic, and Logique et Analyse. He is editor in chief of Synthese and the Synthese Library book series. ROMAN FRIGG is professor of philosophy in the Department of Philosophy, Logic and Scientific Method, Director of the Centre for Philosophy of Natural and Social Science (CPNSS), and Co-Director of the Centre for the Analysis of Time Series (CATS) at the London School of Economics and Political Science. He is the winner of the Friedrich Wilhelm Bessel Research Award of the Alexander von Humboldt Foundation. He is a permanent visiting professor in the Munich Centre for Mathematical Philosophy of the Ludwig-Maximilians-University Munich, and he held visiting appointments in the Rotman Institute of Philosophy of the University of Western Ontario, the Descartes Centre for the History and Philosophy of the Sciences and the Humanities of the University of Utrecht, the Sydney Centre for the Foundations of Science of the University of Sydney, and the Department of Logic, History and Philosophy of Science of the University of Barcelona. He was associate editor of the British Journal for the Philosophy of Science and member of the steering committee of the European Philosophy of Science Association. He currently serves on a number of editorial and advisory boards. He holds a PhD in Philosophy from the University of London and masters degrees both in theoretical physics and philosophy from the University of Basel, Switzerland. His research interests lie in general philosophy of science and philosophy of physics, and he has published papers on climate change, quantum mechanics, statistical mechanics, randomness, chaos, complexity, probability, scientific realism, computer simulations, modelling, scientific representation, reductionism, confirmation, and the relation between art and science. His current work focuses on predictability and climate change, the foundation of statistical mechanics, and the nature of scientific models and theories. OLIMPIA LOMBARDI is Principal Researcher of CONICET (National Scientific and Technical Research Council of Argentina) at the Instituto de Filosofía, Universidad de Buenos Aires. She is member of the Academie Internationale de Philosophie des Sciences and of the Foundational Questions Institute. She is the director of the Grupo de Filosofía de las Ciencias at the Universidad de Buenos Aires, mainly devoted to philosophy of physics and chemistry: in the context of the group, she has supervised several researchers of CONICET and many doctoral theses. She was awarded with many national and international grants. Her research concentrates in the interpretation of quantum mechanics, the meaning of quantum decoherence, the interpretation of classical and quantum information, the problem of the arrow of time, and the relation between physics and chemistry. She has published many articles in journals such as Philosophy of Science, Synthese, International Studies in the Philosophy of Science, Studies in History and Philosophy of Modern Physics, European Journal for Philosophy of Science, Foundations of Chemistry, Foundations of Physics, Foundations of Science, Physical Review A, Journal of Physics A, Physica A, International Journal of Theoretical Physics, Classical and Quantum Gravity, Chaos, Solitons and Fractals, Journal of Chemical Education, Science & Education, Entropy, among many others. DIEGO ROMERO-MALTRANA obtained his Ph.D. in Physics at the Pontificia Universidad Católica de Chile (2011). He was part of the e-γ trigger group of ATLAS at CERN from 2009 until 2011. He obtained an M.A. in Philosophy of Physics at Oxford University in 2013, and currently is assistant professor of physics at the Instituto de Física, Pontificia Universidad Católica de Valparaíso. His research concentrates in philosophy of physics (symmetries and conserved quantities, symmetry braking and emergence, the ontological status of fields and particles), philosophy of science (the consequences of the distinction between framework and interaction theories), and science education (the consensus approach to the Nature of Science and the Family Resemblance Approach). He is currently undertaken a Chilean governmental funded research grant (2015 – 2018) on the ontological emergence of mass. 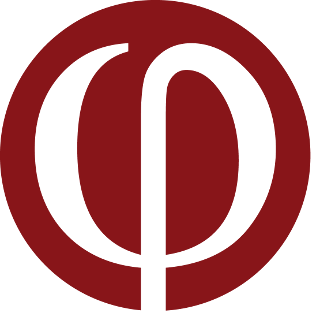 PABLO ACUÑA is assistant professor in the Philosophy Institute at Pontificia Universidad Católica de Valparaíso. He received his PhD at Utrecht University, with a dissertation on the problem of predictively equivalent theories in physics. His research focuses on the philosophy and foundations of special relativity and quantum mechanics, and on issues on general philosophy of science such as empirical equivalence, underdetermination, explanation, and scientific understanding. He has published articles on these subjects in journals like Studies in History and Philosophy of Modern Physics, European Journal for Philosophy of Science, and International Studies in the Philosophy of Science. In 2017, he was a Visiting Fellow in the Center for Philosophy of Science, University of Pittsburgh. CRISTIAN SOTO is assistant professor of philosophy at the Departamento de Filosofía, Universidad de Chile. He received his Ph.D. in philosophy at the University of Melbourne, where he worked on the prospects of a minimalist metaphysics of science. He has worked on metaphysics of science, scientific realism, classical and contemporary empiricism, structuralism, laws of nature (or scientific laws! ), indispensability arguments in the philosophy of mathematics, and models in science. He is currently undertaken a Chilean governmental funded research grant (November 2016–October 2019) on the philosophy of scientific laws (FONDECYT 11160324). He has held visiting scholar appointments at the Department of Philosophy, University of Miami, U.S.A.; the Centre for the Philosophy of Natural and Social Sciences, LSE, England; and the Munich Centre for Mathematical Philosophy, LMU, Munich, Germany. Apart from some published papers and reviews (www.csoto.cl), he is currently correcting the final draft of a book entitled Ciencia, Metafísica y Realidad: Debates Recientes en Filosofía de las Ciencias (no book publishers’ contract yet).